Malec fans, make sure you’re sitting down for this one! 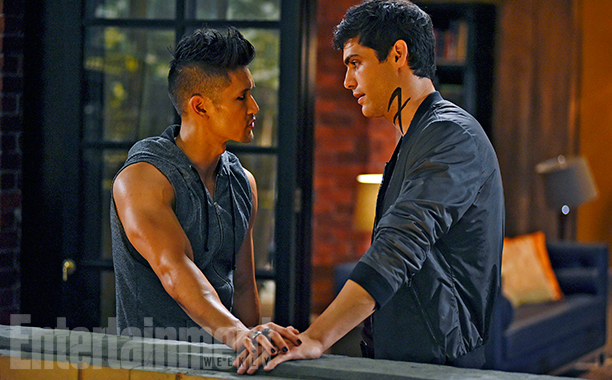 Entertainment Weekly has revealed an exclusive look at Magnus and Alec sharing a moment in season two of Shadowhunters. “Because of the complications in the end of season 1 and Jace now being gone, we get to really show the evolution of the relationship from the beginning. They’ve got to learn to know each other and we get to follow that path. Shadowhunters season two premieres January 2017. I think Magnus and Alec are the main reason why I’m looking forward to season 2!